Let's start off the post with the big head of mine lol. You see it right, flowers on the head and lei hanging on my neck, with a coconut drink prop. It was lucky to be in the Luau Party organised by The Butterfly Malaysia and Kinohimitsu. I did have the thought of wearing coconut bra but neh, it was too cold on that night so I skipped it LOL. Anyway, let us venture into more on the agenda for the night. The night started with a mini game of squeezing water using sponge in order to let the ping pong ball reach the top of the cylinder container. The winning team was rewarded with three bottles of Kinohimitsu J'pan Stem Cell Drink. Our team won in the mini game and each of us got rewarded with J'pan Stem Cell Drink. It is an anti-aging drink consists of patented Snow Lotus Stem Cell and other active ingredients to rejuvenate every cells in our body. 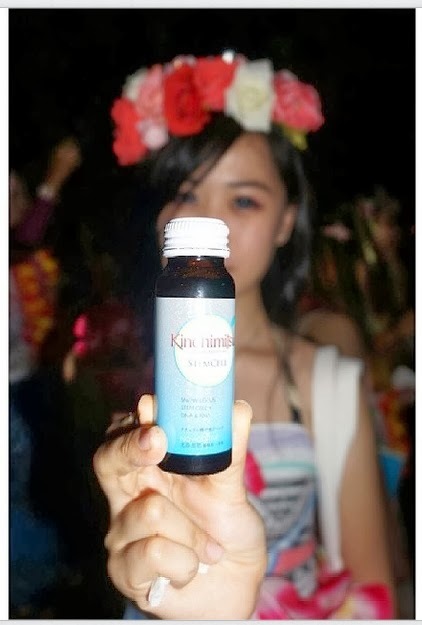 In conjunction with the launch of Kinohimitsu Luau Party, Kinohimitsu introduced a new beauty drink, J'pan Bio-Booster. Here is a brief on Kinohimitsu J'pan Bio-Booster Drink (I will be writing a detail information on this drink). Kinohimitsu J'pan Bio-Booster is a symbiotic-organic to boost body's nutrient absorption power by more than 2 times, enable one to obtain the optimal absorption of nutrients from food and supplements. It is 100% natural with no sugar added to the ingredients. You will be surprised on its taste because I never thought this drink can be so tasty. The Tri-layered Micro-encapsulation Technology enables one to absorb effectively. It helps to restore healthy guy flora by getting rid of harmful bacteria, thus improving the digestion and nutrient absorption. J'pan Bio-Booster also helps to enhance body immune system and prevent allergies. 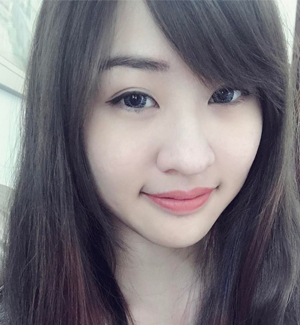 Next up, we have two local celebrities who are Kinohimitsu supporters over years. Each of them shared their experience and thoughts on the newly launched Kinohimitsu J'pan Bio-Booster. The night was rocked on with Belly Dance performance. Apart of the agenda above, the bloggers were treated like a VIP during the party. All of us got to eat everything we could and pampered ourselves with the massages provided from Vila Manja. The bloggers also treated with Kinohimitsu J'pan Beauty Drink Collagen. It is a beauty drink with high concentration of Collagen which helps to regain smoother, firmer and younger looking skin in few weeks. A booth was set up for the bloggers to redeem a mysterious gift from Kinohimitsu by playing a mini game wheel. I wasn't lucky enough to get a grand prize but I got myself a Kinohimitsu USB Fan. Well, all of us get to receive gifts from Kinohimitsu as well. It was a big goodie bag consists of Kinohimitsu drinks. I went Gaga because I found my favourite drink in it, Kinohimitsu J'pan Beauty Drink Collagen! One should never forget the best part of the party is the food. The bloggers were treated a shoulder massage from the Vila Manja Spa. While the bloggers were having fun, we have decided to find our inner peace. And I highly doubt Kah Mon was having peaceful mind like us. Thanks to 123Cheese.my for the photo booth. Photo booth is always a girl's favourite so the girls never stop taking pictures for that night. This hot guy here is John Tan, winner of Manhunt Malaysia 2012. Now, it is time to reveal the lucky winners for all the contests mentioned above! Best Dressed Hawaiian Blogger goes to Edazz! For the Butterflies who attended the Luau Party (with their registered names with the organiser), were given a certificate for attending the Luau Party. Ending le post with a big group of Butterflies! Pssss, stay tune to my blog because I'm going to reveal the secret of Kinohimitsu J'pan Bio-Booster.